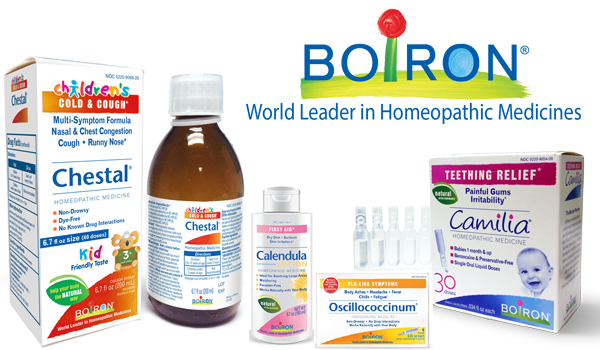 Boiron is the world leader in homeopathic medicines. Homeopathy is a therapeutic method that uses highly diluted natural substances to relieve symptoms. Homeopathic medicines stimulate the body’s physiological reactions that help restore health, with a very low risk of side effects due to the use of micro-doses. This type of Homeopathy is natural, efficient, and safe. It is best known for Oscillococcinum, which is a top-selling flu formulation. Boiron also produces a line of pain reliever caller Arnicare. For more than 80 years, Boiron is committed to funding scientific research and educating the public and healthcare professionals on homeopathic medicines. The company maintains the highest standards in manufacturing, complying with U.S. Food and Drug Administration regulations, the Homeopathic Pharmacopoeia of the United States and drug Good Manufacturing Practices. Boiron is committed to stimulate the evolution of health care by promoting homeopathy as a compassionate, ecological and comprehensive approach to medicine. Boiron is committed to lead by example; the company is obligated to respect the environment while creating products that could benefit the consumers the best way possible. Glonoinum: This medication can be used when you suffer from sudden hot flash, sunstroke, and headache. Children’s Chestal Cold and Cough: This is used to give temporary relief to symptoms of common cold such as nasal and chest congestion, fitful cough, sneezing, minor sore throat, and runny or stuffy nose. Cocyntal: This medicine will relieve you from symptoms related with colic, including gas pain and irritability. Children’s Coldcalm Pellets: Children’s Coldcalm Pellets will temporarily relieve you from cold symptoms such as sneezing, runny nose, nasal congestion and minor sore throat. Boiron’s products have been a widely used at home especially for women and children. Nutritional Institutes LLC’s staffs are happy to use their products because of the natural components! This is out in Grayslake IL now!